The study: University of Toronto researchers reviewed 179 studies published between 2012 and 2017 that looked at heart-health benefits of vitamin and mineral supplements and concluded that nearly all of them were not effective for preventing or treating cardiovascular disease. Included were the most popular supplements—vitamin C, calcium, vitamin D and multivitamins. 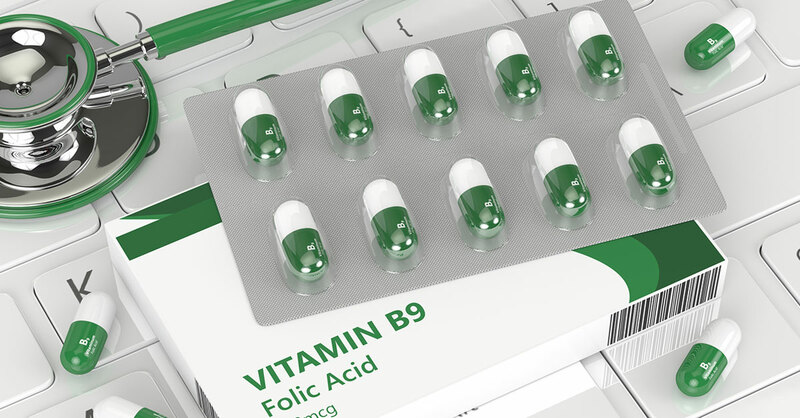 However, researchers found a notable exception: Vitamin B-9, more commonly known as folic acid (the synthetic form) or folate (the natural form). Taking a folic acid supplement or a B-complex supplement that included folic acid was found to reduce the risk for stroke by a very significant amount—20%. This finding builds on earlier research suggesting cardiovascular benefits of folic acid supplements. For instance, a 2015 study that involved 20,000 people from the China Stroke Primary Prevention Trial (CSPPT) found that folic acid supplements reduced the risk for cardiovascular disease and stroke. And another CSPPT study published earlier this year found that patients with high blood pressure and a low blood platelet count who took the blood pressure drug enalapril (Vasotec) and folic acid were 73% less likely to have a first stroke than those who took only the drug. While these associations do not prove cause and effect, all of this would seem to be evidence that it’s a very good idea to make sure you’re getting enough folic acid. Folic acid is in many foods. Spinach, asparagus and brussels sprouts are especially rich sources, but you can also get it from green leafy vegetables, fruits, nuts, beans, peas, dairy products, meat, eggs, seafood and grains. Also, most bread, cereal, pasta and rice are enriched with folic acid. Even with the 20% reduction in stroke risk, researchers from the latest study did not suggest that there’s enough evidence to recommend taking folic acid supplements for stroke prevention. But if you have any particular stroke risk factors, such as diabetes, high blood pressure or being obese or overweight, you might want to ask your doctor about the study and discuss whether taking folic acid supplements (or folate supplements) would be a good idea for you.